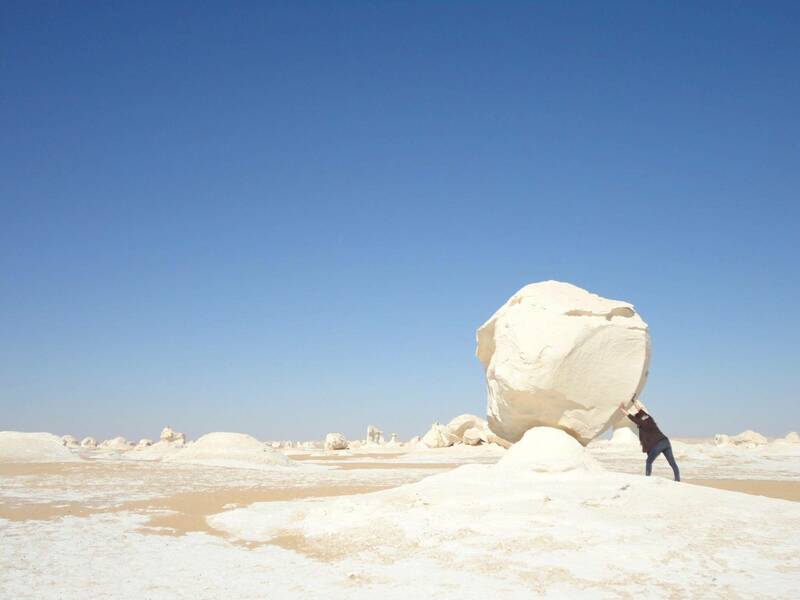 Explore Baharyia Oasis and Black Desert and White Desert National Park on an overnight adventure. After a convenient hotel pickup, travel by private vehicle and 4x4 into a volcanic landscape. Take a dip at Baharyia Oasis, visit a mummy museum, and enjoy delicious meals and tent camping accommodations included in the tour price. At 07:00 in the morning your tour guide and driver will pick you up from your hotel in Cairo by a sign of your name to be holding at the lobby area of your Hotel and transfer you to Bahariya Oasis about 350 km south west of Cairo this journey takes about 4 hours, upon arrival to Baharaia change your car to use the 4×4 then go through the desert 40 km to Valley of El Haize .lunch will be served at local restaurant at El Haize. Then continue driving to visit the Black Desert, then drive to see the quartz crystal at Crystal Mountain, and the rocky formations in the Valley of Agabat. Continue driving to the White Desert National Park the most well-known desert destination in Egypt - and for a good reason. 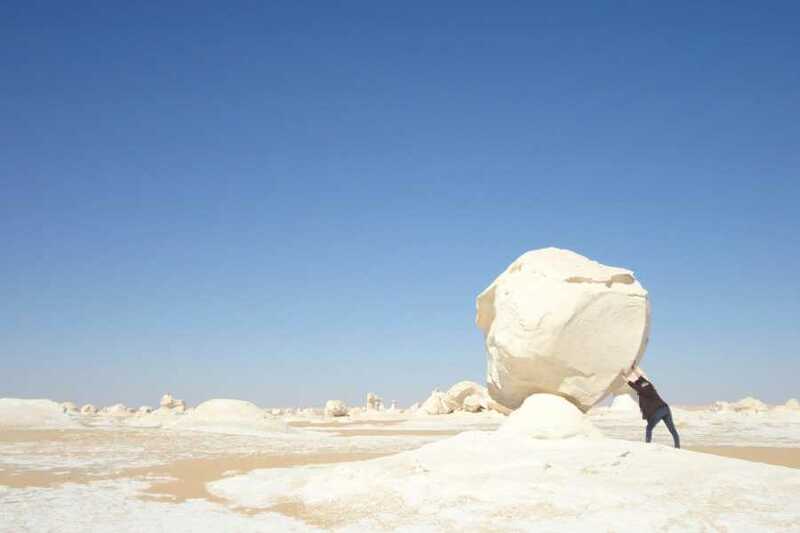 The quantity of unearthly and beautiful wind-carved rock formations shaped in the form of giant mushrooms, chicken, rabbit or pebbles is unequaled in any desert in the world. Transfer back to the campsite at Al Haiz for overnight stay (sleep in tent). Breakfast at the campsite then drive to go to natural water spring to have swim and relax then drive to Bahariya Oasis to visit the Mummies Museum, that was found at a huge burial site at Bahariya Oasis in the Western Desert of Egypt and the Tomb of Bannantiu in the Bahariya Oasis. Enjoy your lunch at Bahariya oasis before driving back to Cairo by 14:00 pm.